Of all my friends who have embarked on a new diet or lifestyle whether they be Vegan, on a diet or just trying to healthy in general, the most common struggle I hear them talk about is chocolate. It seems everyone loves a bit of chocolate and some find it absolutely impossible to live without. 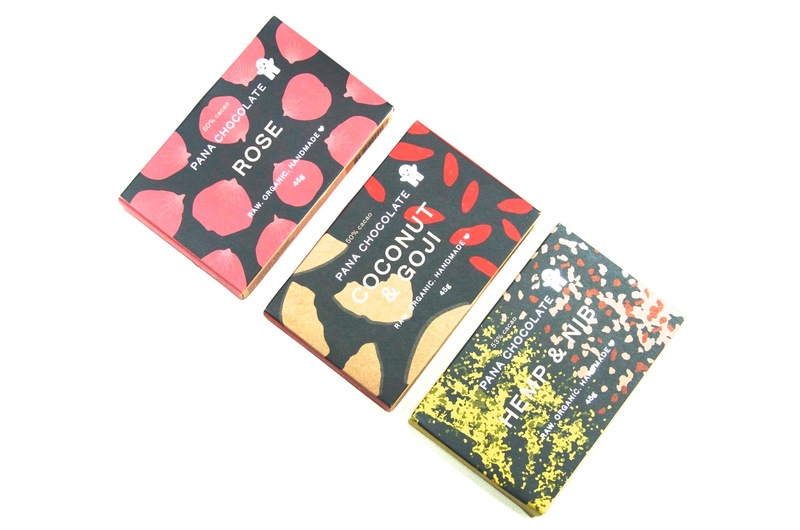 Pana Chocolate was founded in Australia by Pana Barbounis, a man whose mission was to create "a rich, luxurious chocolate the whole world could enjoy." Thanks to him, chocolate no longer has to be on the naughty list for most people when it comes to their diets! 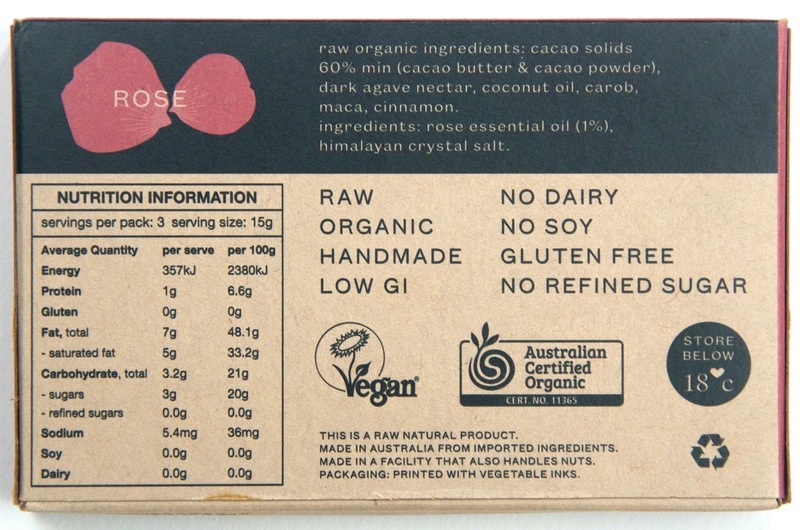 Raw, organic, handmade, low GI, dairy-free, soy-free, gluten-free, preservative-free and free from refined sugar, these bars are suitable for many who have a diet or lifestyle that prohibits any joy one might achieve from hoovering a Kit Kat. I'm not going to lie... You will not find that Pana Chocolate tastes like the chocolate you're used to, but it's pretty darn close. The texture is a little softer, the flavor is a little stronger and it's simply not as sweet as many of the chocolate options currently on the market. That said, if you're not used to eating a lot of sugar and you like dark chocolate, you'll probably love it and it's a great option for anyone who's watching what they eat. It doesn't hurt that Pana Chocolate also comes in 11 rather interesting flavors that are sure to entice even the most adventurous of foodies from classics like Mint, Orange and 80% Dark to more adventurous flavors like Cinnamon, Hemp & Nib and Fig & Wild Orange. My favorite is Rose... It tastes like roses smell and it's intense! Each beautiful box contains a bar wrapped in beautifully printed, foil-lined paper. 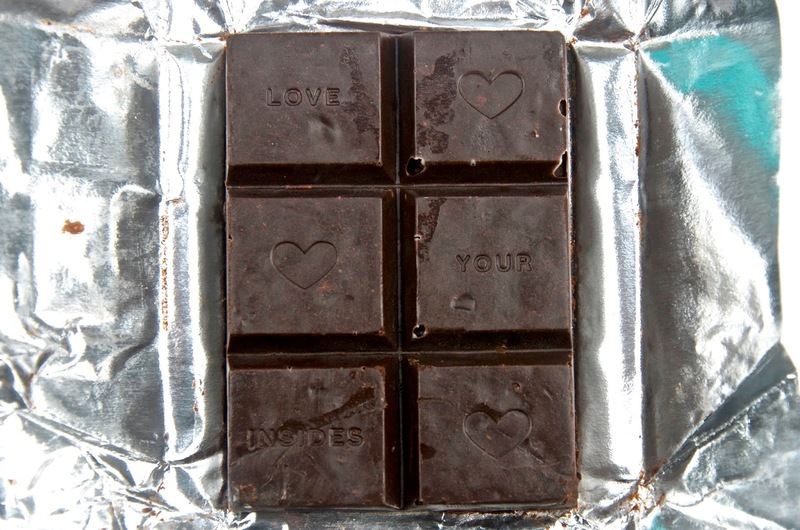 The bars are stamped with hearts and phrases like Love Your Insides or Love the Earth. 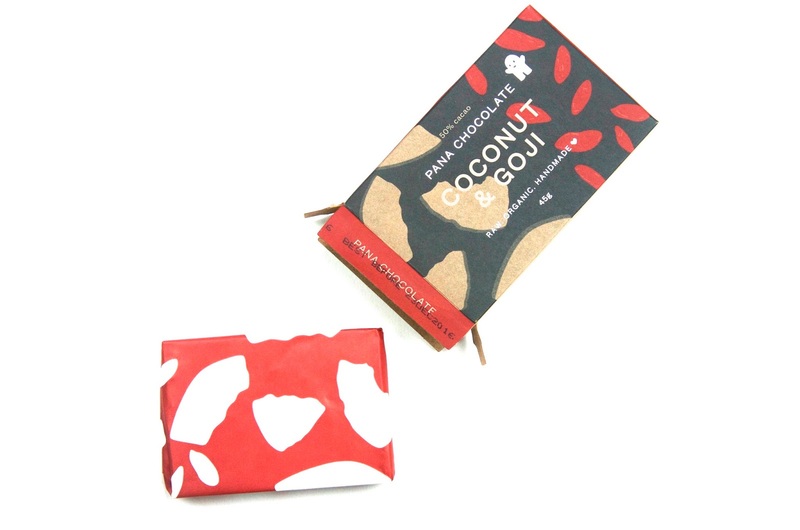 Beautifully packaged and presented, these little treats are full of antioxidants, amino acids, vitamins and minerals. The result is a wide variety of chocolate bars that you not only don't have to feel bad about - you can actually feel good about them! I wouldn't be so bold as to say that I'm ready to give up my preference of regular chocolate in favor of these bars because that would be a lie. What I will say is that I eat all kinds of chocolate including white, milk and dark. I'll eat an expensive artisan chocolate bar one day and a cheap & cheerful Twix bar the next. I suppose you could say I'm an equal opportunity chocolate eater. 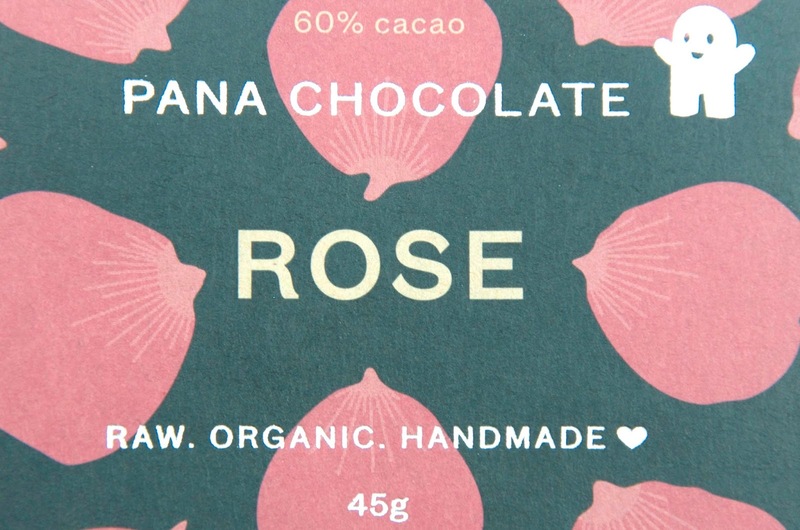 Pana Chocolate is a wonderful alternative that I would feel comfortable eating even when I'm trying to stay away from the naughty stuff - it's a great way to get a chocolate fix when you don't necessarily want to indulge and upset your diet. That said, this is also a wonderful product for the people who need it. Vegans, vegetarians and people who avoid gluten, refined sugar, dairy and soy can have the indulgence of chocolate without sacrificing their eating plans. 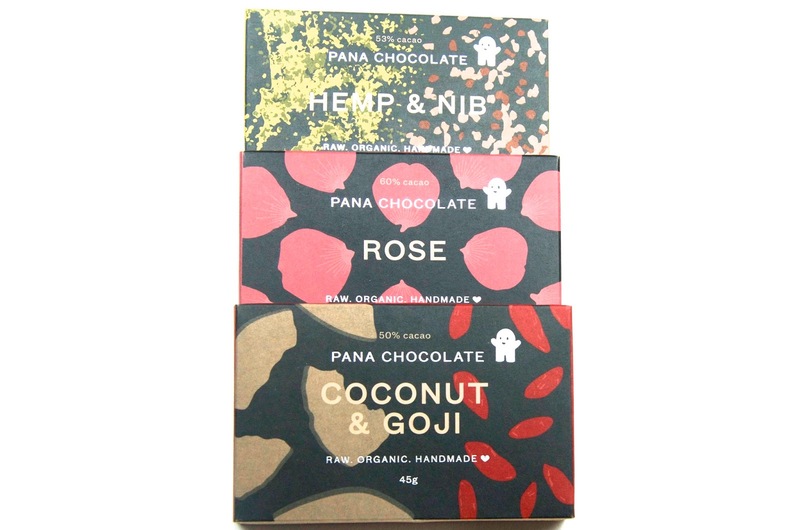 Pana Chocolate bars range in price from £3.20 to £4.20 and there are also gift boxes available with 3 bars for £13.90. Click here for more information or to buy some Pana Chocolate for yourself.